A family at Sogi who was fighting a Government eviction notice has had their case dismissed in Supreme Court yesterday. The decision was handed down by Supreme Court Justice Leiataualesa Daryl Clarke after a Court hearing in February this year. During Justice Leiataualesa’s decision, he said the proceedings of the matter were brought by the plaintiffs as alleged heirs and descendants of Turaroe Tokuma on behalf of the members, beneficiaries and heirs of Turaroe Tokuma. 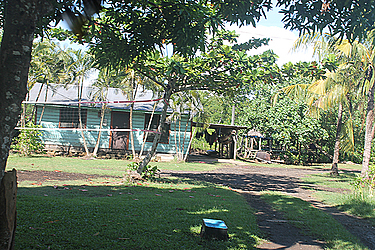 Essentially, the plaintiffs claim arises out of land situated at Sogi that they claim in their pleaded case was given to them as a gift to Turaroe Tokuma, his wife and their four children by the then Commissioner of Crown Estates of Samoa and also the Public trustee, Percival Ernest Patrick. He also stated that at the end of Liutofagaomataafa Nanai Tokuma’s hearing, he has given no evidence describing the land the plaintiff is claiming, its boundaries or size. 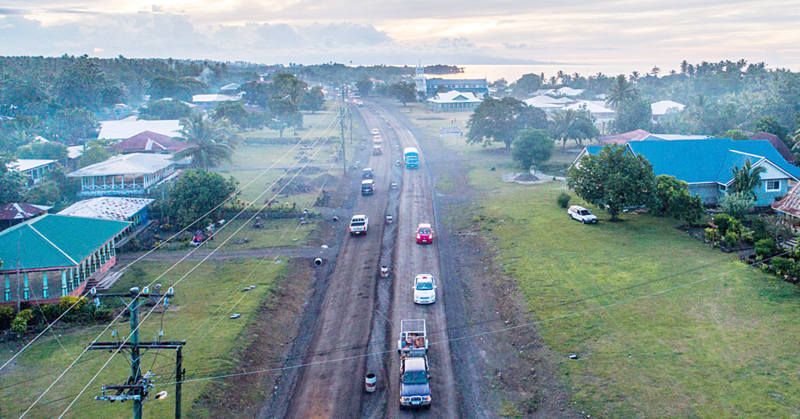 “On questioning from the Court, he said the land is very large, he doesn’t know whether it is 40 or 50 acres and that he has lived on the land his whole life,” said Justice Leiataulesa. “He confirmed that since he has lived on the land, he and his family have never taken any Court proceedings over the land. “Mr. Tokuma also confirmed that to prepare for these proceedings, the plaintiffs did not engage a surveyor to survey the land they claim and that to his knowledge, his family have never engaged a surveyor to survey the land. “The evidence given by Mr. Tokuma as allegedly told to him by his father and mother is hearsay. Justice Leiataualesa went on to say in his decision on the hearsay statement given to the Court by Mr. Tokuma is simply not credible or reliable. “I turn first to Mr. Tokuma’s hearsay evidence in relation to the statements allegedly made to him by his father about his arrest, trial and sentence to death,” said Justice Leiataulesa. “According to Mr. Tokuma, these statements were made to him by his father when he was 12 or 13 years of age and as they went to the mangroves after his work as set out above at paragraph 19 to search for crabs. “The alleged statements made to him were oral statements, made to a 12 or 13 year-old-boy in apparently a very casual and limited context as they went crab searching in the mangroves. “First, the circumstances relating to the making of the statements leave real doubt as to the reliability of the statements. “It was a casual discussion between father and a young son as they went to search for crabs in the mangroves. “Second, the statements are alleged to have been made approximately 65 years ago relating to events that occurred approximately 80 to 90 or so years ago. “There was no evidence that the alleged statements made to Mr. Tokuma were recorded by him at any point contemporaneous or approximate to when they are said to have been made to him. “I am not satisfied that the accuracy of the alleged statements made to him and then relayed in Court some 65 years later is reliable. “Third, the statements lacked any real detail about the events that the statements allege to deal with and were general in nature. “Indeed, his evidence at points appeared to be a narrative of Mr. Tokuma’s interpretation of the events as opposed to the actual words used by his father. “Fourth, the contents of his father’s purported statements also lead to doubt about their reliability. “Based on the alleged statements made, Mr. Tokuma’s father was arrested and by Monday the following week after his arrest, the matter went to Court and he was convicted of murder. “The alleged speed of the judicial process as recounted in his evidence leaves doubt as to reliability, particularly given the seriousness of the charge of murder alleged to have been made and the imposition of the death sentence. “Fifth, the manner in which Mr. Tokuma’s father’s death sentence was said to have been commuted or set aside I find particularly difficult to accept as reliable. “According to the hearsay evidence, on the day that the death sentence imposed on Mr. Tokuma’s father was to be carried out and as his father walked to be hung at the gallows, two Chinese men ran forward and confessed to the beating of the deceased Chinese businessman. “I find this hearsay statement simply not credible or reliable. “As his father is walked to the gallows to be sent to his death by hanging, it is highly implausible that as he was walking to the gallows, two other men would run forward and confess to the killing of the Chinese businessman for which Mr. Tokuma’s father was about to be hung. “Why? Because any rational person with common sense would expect that by confessing to the killing, he would most likely meet the fate of death by hanging to which Mr. Tokuma’s father was being led. “The statements, if made by Mr. Tokuma’s father, are more likely in my view to be an urban myth or tall story told by his father as opposed to a faithful account of events from years earlier. “In the end, I cannot be satisfied in the circumstances as to the reliability of these alleged statements made by Mr. Tokuma’s father to him. It therefore is not admissible pursuant to section 10(1) of the Evidence Act 2015. “Even if I were satisfied about the reliability of the statements, which I am not, the evidence is irrelevant and also inadmissible pursuant to section 4(1) of the Evidence Act 2015. “In his evidence, Mr. Tokuma did not link any of these events, the statements to him by his father or the relationship with Mr. Patrick to their occupation of Sogi land. “In terms of the other hearsay statements attributed to his father, I also found those hearsay statements to be unreliable for the reasons I have set out above. “In relation to the alleged statements from his mother, Mr. Tokuma explained that when he was 13 or 14 years of age, he went with his mother to Lepea and she spoke to the then Prime Minister, Fiame Mata’afa Faumuina Mulinu’u II. Justice Leiataualesa said there was no evidence given by Mr. Tokuma of any representations made by the then Prime Minister concerning their occupation of the Sogi land. “Based on Mr. Tokuma’s age given stated as 13 or 14 at the time, that would place the meeting with the then Prime Minister Fiame Mata’afa Faumuina Mulinu’u II as having occurred in 1953 or 1954,” he said. “Samoa, however, had not become independent and Fiame Mata’afa Faumuina Mulinu’u II was not Prime Minister in 1953 or 1954. “There was also no hearsay statements led in evidence concerning what the then Prime Minister Fiame Mata’afa Faumuina Mulinu’u II is alleged to have stated and what evidence was given concerning the then Prime Minister is not relevant to these proceedings. “In terms of the hearsay evidence of statements attributed to his mother concerning their occupation of the Sogi land, there was also no foundation laid as to when the statements were alleged to have been made or as to the circumstances in which they are said to have been made. Justice Leiataualesa said the evidence given by Mr. Tokuma is vague, general and unsatisfactory by itself in establishing the plaintiffs remaining claims. “On the admissible evidence, the plaintiffs, who carry the onus to prove their claim, have failed to establish unjust enrichment,” he said. Moreover, Justice Leiataualesa said there was no satisfactory evidence offered by the plaintiffs of where specifically the alleged reclamation was carried out, the size, value or nature of the alleged reclamation, when it was alleged to have been carried out or who specifically carried it out. “There was also no evidence whatsoever on behalf of the plaintiffs by a surveyor, engineer or valuer identifying the area and location of any alleged reclamation, its value or its condition to support their claim,” he said. “Similarly, no such evidence was offered by the plaintiffs in terms of any buildings on the land occupied by them or in respect of the alleged clearing of the land, these also suffering from the same evidential deficiencies as the alleged reclamation. “Even if I was satisfied that reclamation work or any other improvements had been carried out (which I am not), and that there would be a deprivation to the Plaintiffs, the Plaintiffs have not excluded any legal basis upon which the defendant could retain the benefit of improvements to their property without paying for them. At the end, Justice Leiataulesa dismissed the plaintiff’s claim and motion. “The Plaintiffs Amended Statement of Claim and Motion are dismissed,” he said. “The defendant has 14 days to file and serve its Memorandum as to Costs.